With frigid temperatures layering Chicago, thoughts of spring blooms the spirits for many with the upcoming trends for the season. On Thursday, February 7, Neiman Marcus on Michigan Avenue hosted their ‘Spring Trend Party’ showcasing the fashion craze which is creeping upon us. From Cool Blues to Princeton Orange, Print Mania, Amazing Lace, Warm-Weather Leather, as well as Loud and Proud Handbags, these fashion statements set a tone to revive the streets with color! 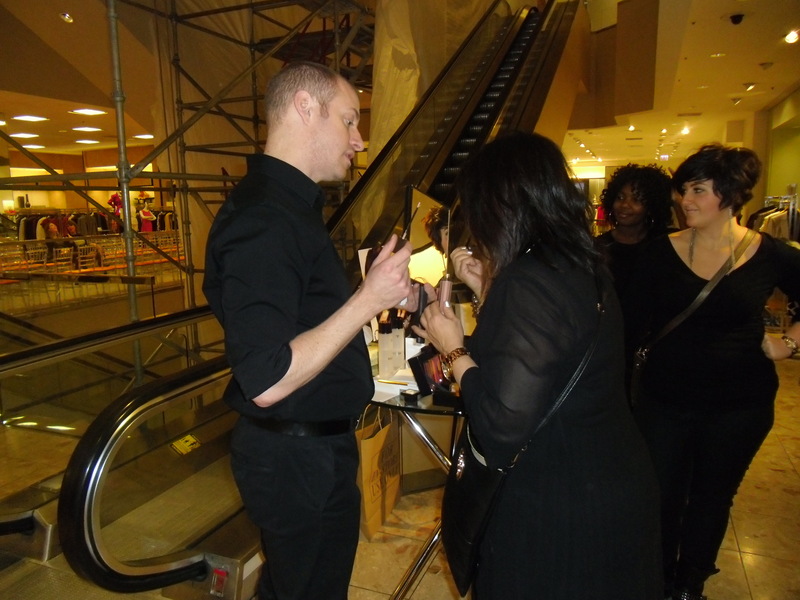 Following this vogue catwalk affair, attendees had a chance to doll up with beauty cosmetics at the Neiman Marcus Lash & Lip Beauty Bar hosted by Tom Ford and Chanel Cosmetics! It was indeed a night that stirred up much anticipation for the upcoming season! Now, the countdown starts for this amazing adventure with spring fashion!! Posted on February 10, 2013, in Beauty, Chicago, Empowerment, Fashion, Sisterhood and tagged Chanel Cosmetics, Chicago, empowerment, fashion, fashion craze, Neiman Marcus, spring blooms, Spring Trend Party, style, Tom Ford. Bookmark the permalink. Leave a comment.